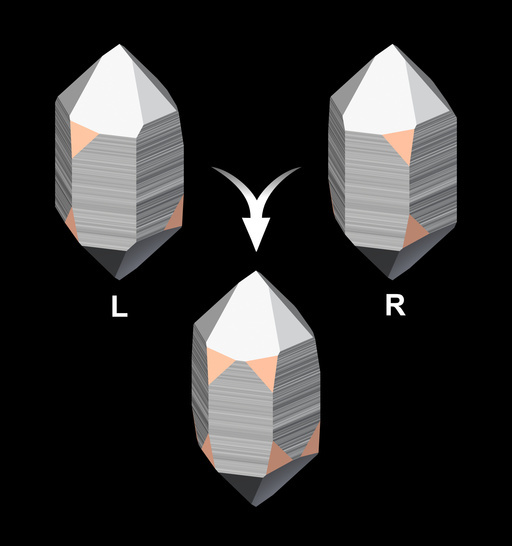 Idealized merger of a left- and right-handed crystals into one Brazil law twin. The crystals' structures and face developments are mirror images of each other. The handedness of the rendered crystals can be determined from the position of the trapezohedral faces (x faces, marked orange). Unfortunately this is extremely rare in natural crystals.